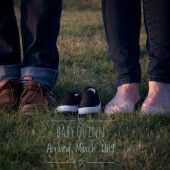 Welcome to our baby registry! We are overjoyed to be adding a new baby girl or boy to our family in March. We love the way that Babylist allows us to request favors, gifts of service and other non-traditional gifts. Also linked below is our Buy Buy Baby registry. Please note that Buy Buy Baby accepts Bed Bath & Beyond coupons!